Founded in 1919, Halliburton is one of the world's largest providers of products and services to the energy industry. With approximately 50,000 employees, representing 140 nationalities, and operations in approximately 70 countries, the company serves the upstream oil and gas industry throughout the lifecycle of the reservoir – from locating hydrocarbons and managing geological data, to drilling and formation evaluation, well construction, completion and production optimization. The Asia region comprises 17 countries divided into 5 culturally aligned geomarkets. This structure is designed to strengthen our business relationship with your company. We’re aligned to build lasting partnerships that advance your reservoir performance. We understand the challenges you face every day, and we’re collaborating to jointly develop technology that will further your success. Halliburton Indonesia are looking for the right people — people who want to innovate, achieve, grow and lead. We attract and retain the best talent by investing in our employees and empowering them to develop themselves and their careers. Experience the challenges, rewards and opportunity of working for one of the world’s largest providers of products and services to the global energy industry. Under broad direction, organizes and coordinates all activities associated with maintaining Halliburton equipment over a geographical area (i.e., multi-state area or country). Possesses supervisory/lead responsibility over a group of engineers. Responsible for the technical standards and procedures of a group of engineers. Coordinates diverse activities within a functional area. Develops, prioritizes and justifies various projects, processes and/or initiatives supporting service delivery and equipment reliability. Determines tactical direction with regard to policy/procedures, May conduct various aspects of performance management such as performance appraisal or counseling of employees with behavior or technical performance problems and assists in the interviewing, hiring, and assignment of new personnel in the discipline; coaching and mentoring for career and skills development and arranging training. Develops and manages department budgets. Possesses broad understanding of business aspects and associated technology of the PSL. Exhibits general management skills and understanding of associated computer aided product development tools. Supports reliability analysis and promotes optimum use of development tools and standards during the design process. Incorporates project management techniques in all job processes. Understands and promotes Halliburton’s quality directives. Skills are typically acquired through completion of an undergraduate degree in Engineering, Geological or equivalent discipline and minimum of 7 years experience, or an equivalent combination of education and experience sufficient to successfully perform the essential functions of the job. Must have at least 3 years experience as a Directional Driller, and 2 years experience as a Directional Drilling Coordinator. Good knowledge of LWD and Directional Drilling equipment required. Negotiating skills, business financial training, management training, PPR, diversity training, Human Resources related training. Frequent travel may be required and 24 hour call. Advanced computer skills which would include standard office platforms and SAP functions. Must possess good communication skills, time management skills, planning and organizational skills. Ability to make effective presentations required. Personnel management experience required. Detailed knowledge operation of equipment and operating systems is required. Compensation Information: Compensation is competitive and commensurate with experience. Job Segment: ERP, SAP, Performance Management, Project Manager, Technology, Human Resources. FRAUD WARNING!! Halliburton Indonesia will never ask applicant to pay a processing fee, ask for money or appoint any travel agent for the recruitment process. 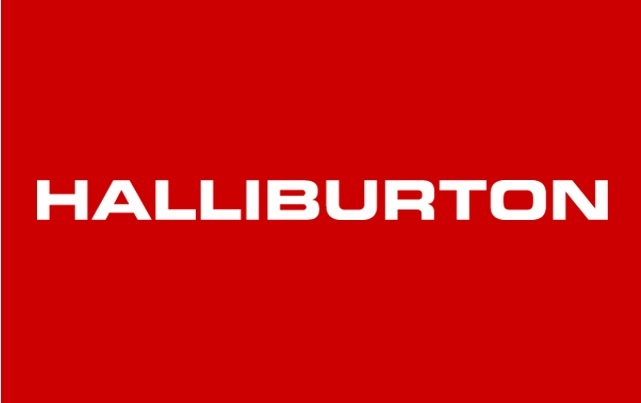 Thanks for reading Halliburton Jobs: Senior Coordinator - Directional Drilling. Please share...!